At the NRA Annual Meetings & Exhibits in Louisville, the Exhibits Hall may not open until Friday morning, but there’s still plenty to do Thursday. If you have some free time, check out the NRA Blog’s helpful guide to 48 Hours in Louisville. That Travel Guide features recommended Restaurants, Family Fun Activities (such as the KY Derby Museum), Music Events, and even Bourbon Tours. You can register in the lobby on the Kentucky Expo Center from 2:00 pm through 6:00 pm on Thursday, May 19th, as well as during all normal show hours. NOTE: Online registration has closed. 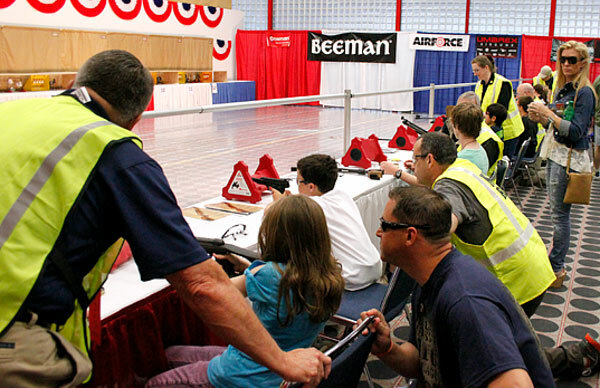 Beat the crowds and get in some target practice at the Pyramyd Air Gun Range! The range, located at Expo Center Room #2684, will open at 2:00 pm on Thursday. The NRA Country Sound Stage presented by Beretta will offer free music in the Beretta Lobby. Stop by to hear Ian Walters and Mark Wills perform starting at 3:00 pm. They’ll kick off the event Thursday, but every day will feature a new lineup of popular country musicians and singers. 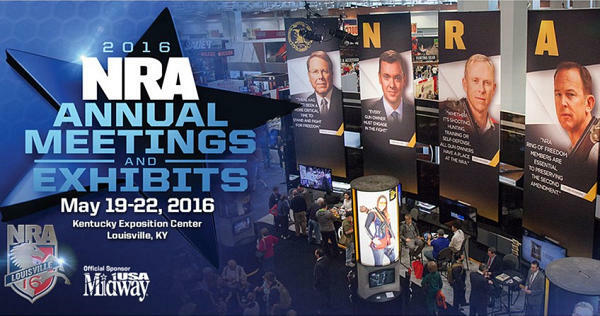 For more information on events, exhibitors, and Exhibit Hall hours, visit nraam.org. 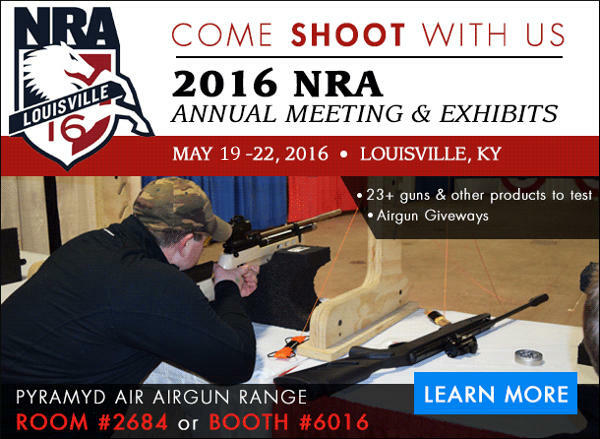 Share the post "Guide to 2016 NRA Annual Meetings & Exhibits in Louisville, KY"
Hodgdon Powder Company (Hodgdon) offers a series of professionally produced how-to videos on its popular Reloading Data Center. These 3.5-minute videos present rifle, pistol, and shotshell reloading basics in an easy-to-understand,step-by-step format. These mobile-friendly, informative videos can also be viewed on a smart phone or tablet. 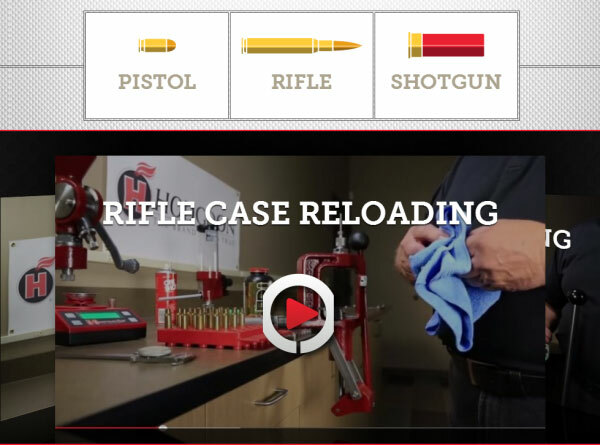 To watch the reloading videos go to the Reloading Data Center at hodgdon.com. Click to the right/left of the displayed video to switch between pistol, rifle, and shotgun videos. Or, for your convenience, we have embedded the Rifle and Pistol videos here. Just click to watch! In addition to these videos, Hodgdon’s Reloading Data Center (RDC) provides a wealth of information on Hodgdon®, IMR®, and Winchester® propellants. Along with reliable load data, you’ll find explanations of reloading basics, safety procedures, plus answers to frequently asked questions (FAQ). Share the post "Hodgdon Goes Hollywood, Releasing How-To Reloading Videos"